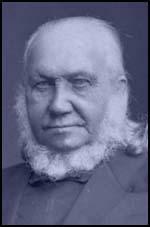 Thomas Cooper, the son of a dyer in the textile industry, was born in Leicester on 20th March, 1805. His father died when Thomas was four years old. This created financial problems and although an extremely intelligent child he received very little formal education. He became a shoemaker but continued to educate himself at home and in 1828 opened his own school in Gainsborough. At one time he had over a hundred pupils but his decision to provide lessons in Latin and Greek rather than concentrating on the basic subjects was upopular with the parents and the school was eventually forced to close. Thomas Copper moved to Lincoln where he started another school for children. He also taught in the Mechanics Institute in Lincoln. Cooper also wrote articles for the local newspaper, the Lincoln Mercury and in time became a full-time journalist. In November 1840 he was sent to report on a Chartist meeting in Leicester. Cooper was impressed with the speaker, John Mason, a Tyneside shoemaker. He was also shocked by the accounts that people in the audience gave about their working and living conditions. As Cooper wrote in his article: "I had never, till now, had any experience of the condition of a great part of the manufacturing population." After the meeting Cooper decided to become a member of the Chartists. It was not long before Copper was the leading Chartist in Leicester. A devout Wesleyan Methodist, all meetings were started and ended with prayers. 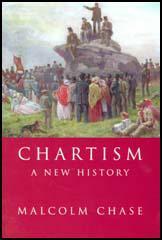 He was also involved producing a book of Chartist songs and hymns. In 1841 Thomas Cooper was chosen as the Chartist candidate for the Nottingham constituency. He won the by-election but failed to hold the seat in the general election three months later. In August 1842, Cooper attended the National Charter Association Conference in Manchester. At the meeting Copper supported those like Feargus O'Connor and George Julian Harney who were advocating Physical Force. When this was followed by strikes and riots Copper and other supporters of militant methods were arrested and charged with sedition. Cooper was found guilty of organising the Plug Plot Riots and spent the next two years in Stafford Gaol. By the time Cooper was released from prison he had changed his mind about the morality of using physical force to obtain the vote. He was also highly critical of O'Connor's Land Plan and suggested he was using the money being raised to support his newspaper, the Northern Star. As a result of these attacks, Cooper was expelled from the National Charter Association. Cooper continued to write for newspapers but after joining the Baptist sect in 1856 he spent most of his time as a travelling preacher. When he was in his sixties he wrote his autobiography, The Life of Thomas Cooper (1872). 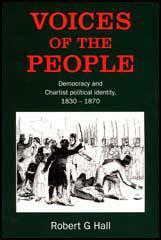 Some of his old colleagues criticised the book as it glossed over his experiences as a Physical Force Chartist. Thomas Cooper died in 1892. In 1840 Thomas Cooper became a Chartist, and afterwards opened a coffee-house, and a shop for the sale of Chartist publications. Cooper warmly denounced the wrongs to which the working class were subjected. Possessed of a dashing style of oratory, restless energy, and indomitable will, he placed himself at their head. The unemployed working class followed him by thousands through the streets, cheering in spite of their distress, and halting at the doors of the shopkeepers to receive their charitable contributions. Cooper was the man to whose voice the people always listened, and whose dictates they always obeyed. Now of all the worshipers of that day who bent the knee to Feargus O'Connor, first and foremost stood Thomas Cooper; and he was proud to declare himself a worshiper of his idol. Whatever Feargus O'Connor said, Cooper endorsed. In short, he was O'Connor-mad, and his acts corresponded with the state of his mind. I told the Manchester Conference I should vote for the resolution because it would mean fighting, and I saw it must come to that. The spread of the strike would and must be followed by a general outbreak. The authorities of the land would try to quell it; but we must resist them. There was nothing now but a physical force struggle to be looked for. We must get the people out to fight; and they must be irresistible, if they were united. The immense majority of Chartists in Leicester, as well as in many other towns, regarded Feargus O'Connor as the only really disinterested and incorruptible leader. I adopted this belief because it was the belief it was the belief of the people. It is now established, on his own confession, that O'Connor has purchased the Herringsgate estate in his own name, with the people's money. I neither believe his affirmation that he is not over head and ears in debt, nor doubt that he has used, and still uses the money paid by the shareholders in the Land Fund, to keep up the Northern Star.